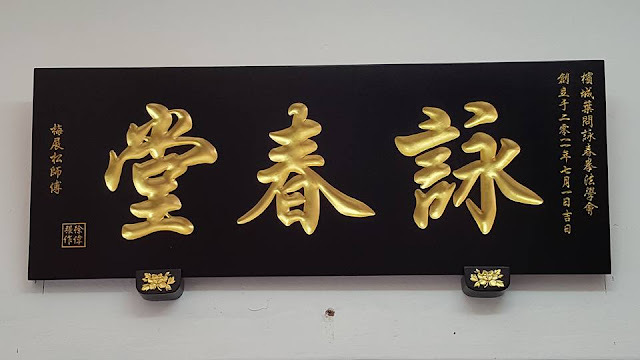 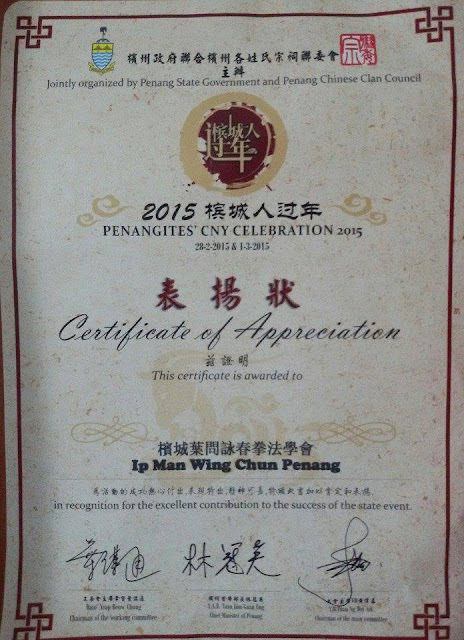 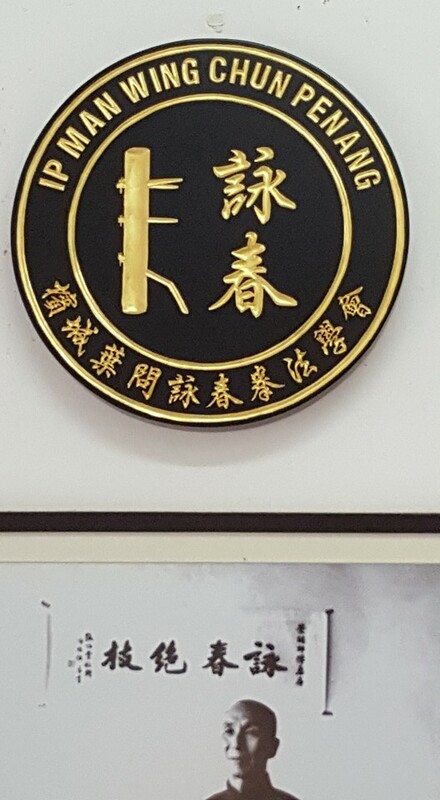 Ip Man Wing Chun Penang was established in 2010 to promote the art of Ip Man Wing Chun in Penang, Malaysia. 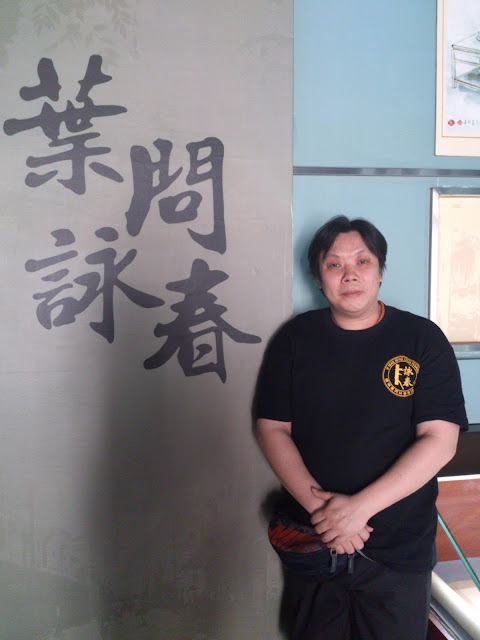 We are led by Sifu Aaron Boey, who is a second generation of the Ip Man Wing Chun lineage, a direct disciple of Sifu Ip Ching, son Grand Master Ip Man. Sifu Aaron received his training under Sifu Ip Ching at the Ving Tsun Athletic Association of Hong Kong, of which he is also a member and a registered certified instructor. 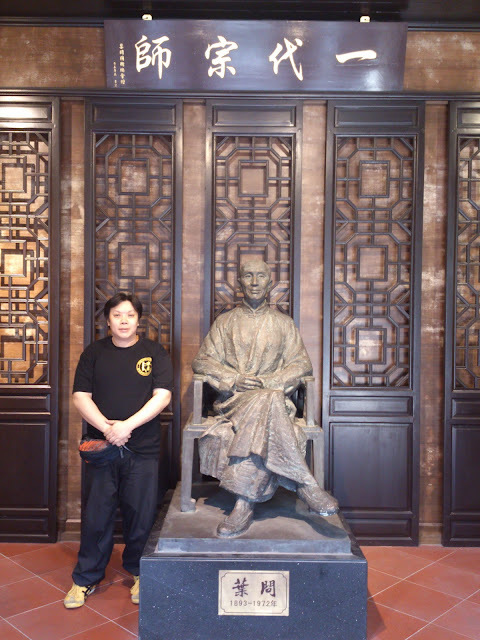 Besides, Sifu Aaron also trained privately with Sifu Ip Ching at his home where Grand Master Ip Man used to live in. Since our establishment, Ip Man Wing Chun Penang have been involved in many performances, live demonstrations, workshops around Penang and nationwide. 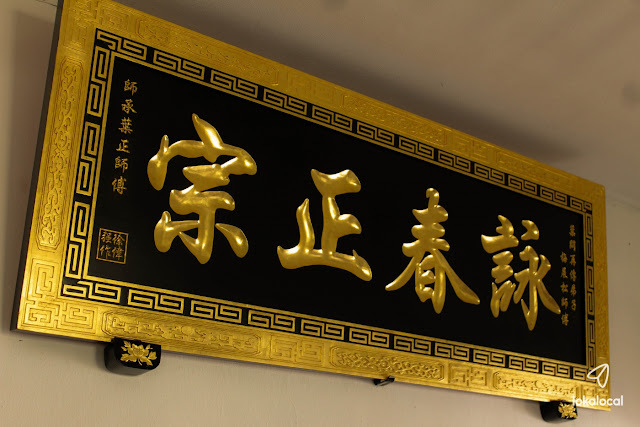 We demonstrate at government events, cultural and heritage events, and charity events. 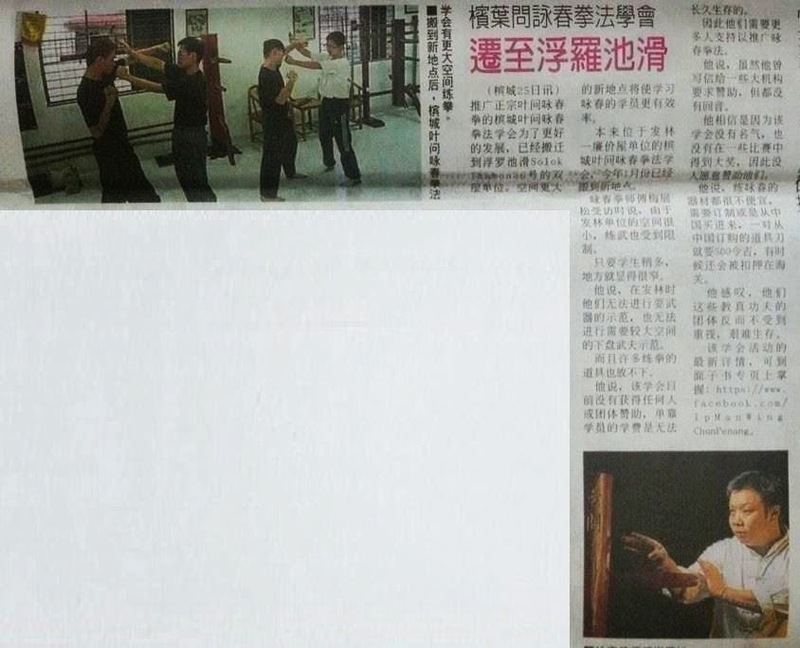 In the effort to promote the Wing Chun martial arts, we also conduct corporate workshops and seminars. At Ip Man Wing Chun Penang, we conduct traditional martial arts training via a scientific approach, the same way Grand Master Ip Man once did, as he has learnt from his education at St. Stephen’s College. 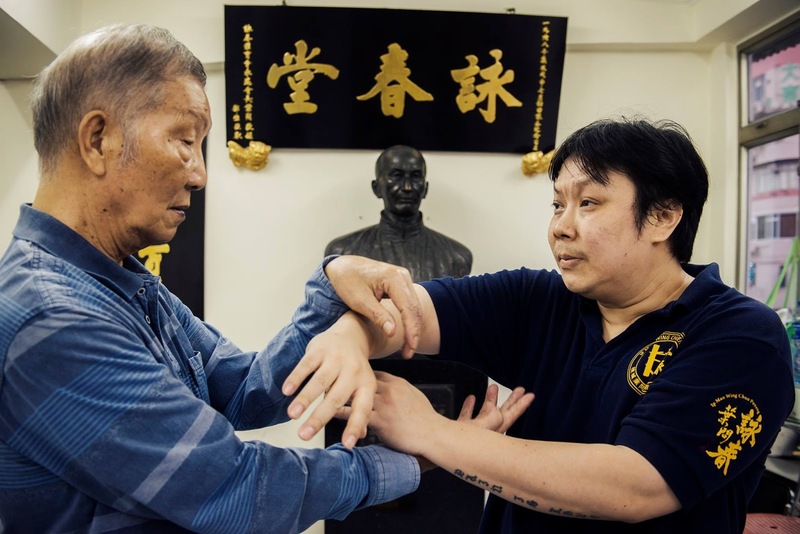 Grand Master Ip Man explored ways to simplify the grueling Wing Chun ways of training, to make it easier for the common student to grasp, comprehend and hence, train more efficiently. Through his own understanding of theories and principles of modern science, he applied modern technological knowledge, such as mechanical and mathematical theories to expand the principles of Wing Chun. 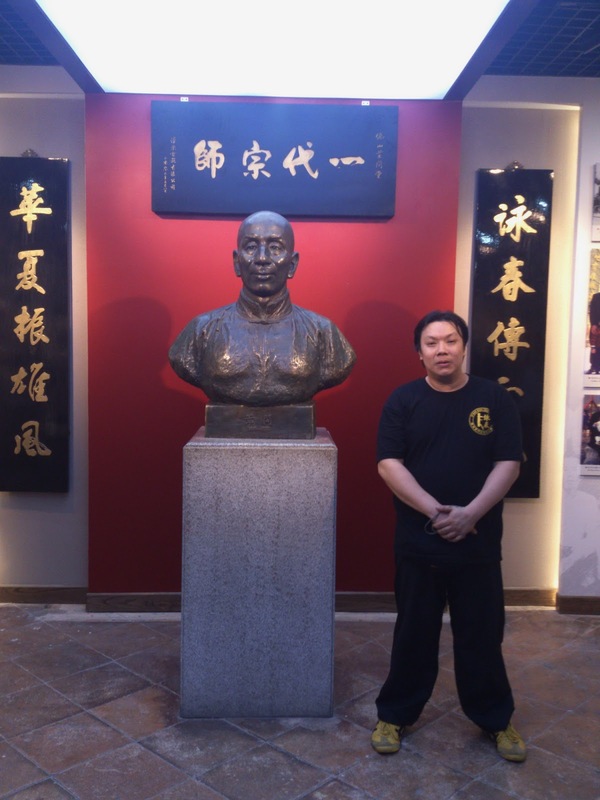 Grand Master Ip Man’s training system is proven to be direct, simple, economical in application, and highly effective during combat. 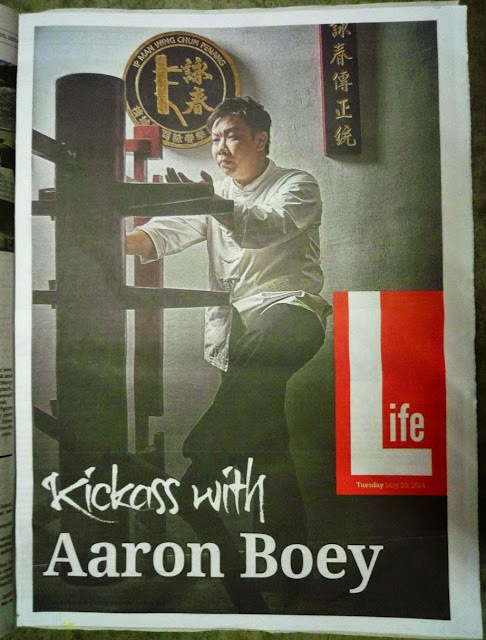 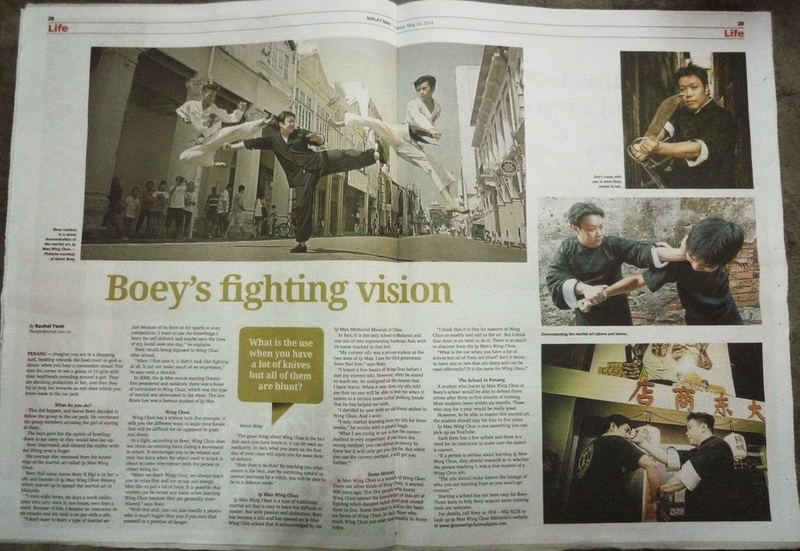 Sifu Aaron Boey has been training in the martial arts since 1993, where he began training with Taekwondo. 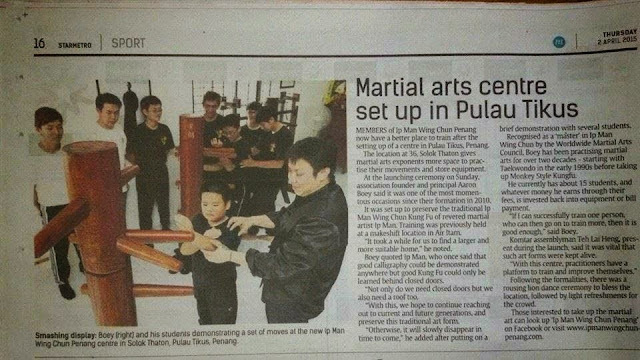 He usually goes to different Taekwondo centres weekly so he can train every day. 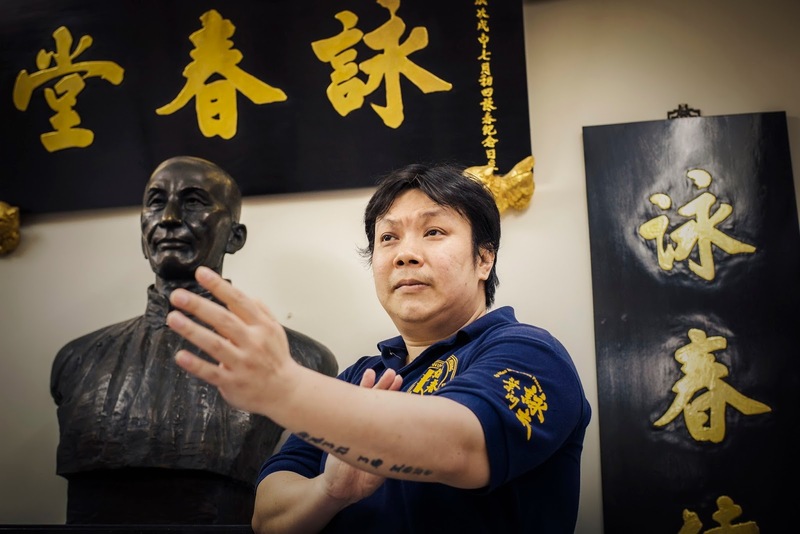 Since 1996, his pursuit for martial arts turned full force as he trained full-time in full-contact traditional martial arts, the Monkey Style Kung Fu, which is also known as Da Sheng Men (猴拳). Sifu Aaron Boey trains 8 hours a day, 7 days a week. 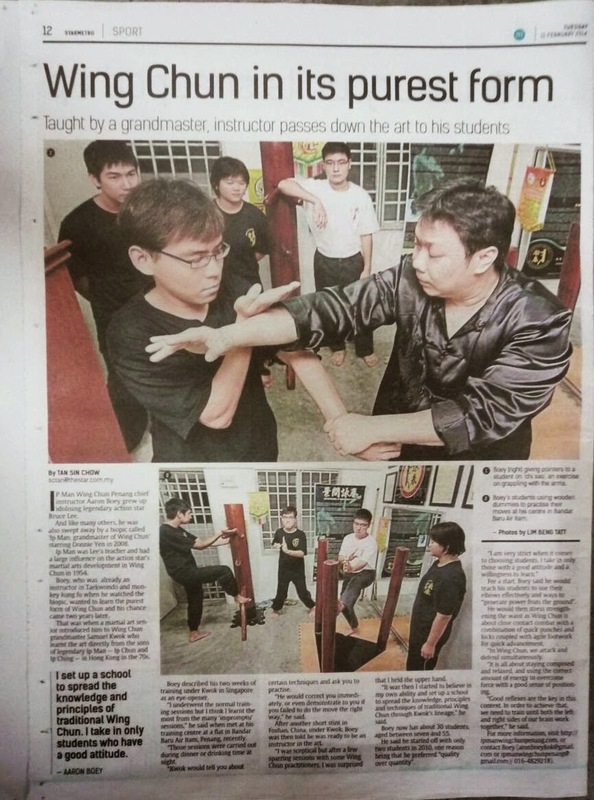 He later became a qualified instructor and taught martial arts in a few schools such as Methodist Girl’s School, Convent Pulau Tikus and Convent Light Street, as well as assisted his Taekwondo Master at St. Xavier Institution. 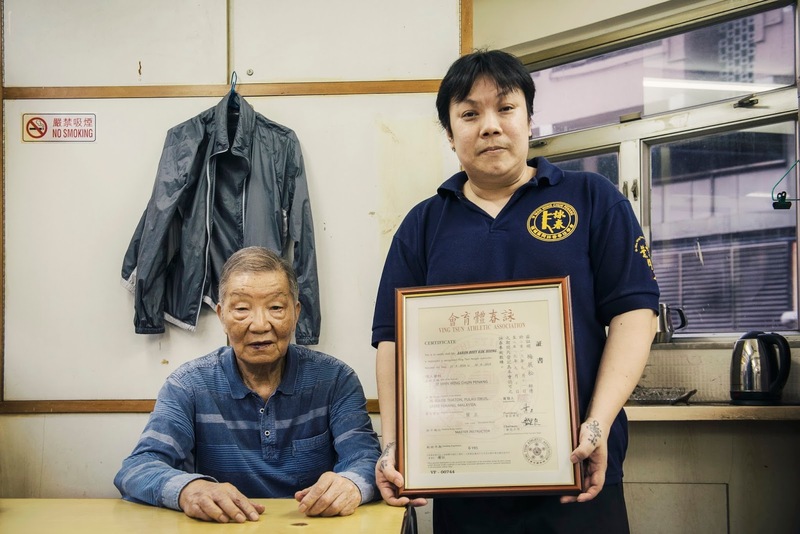 He received the Top Instructor Award while teaching Kung Fu. Sifu Aaron Boey started the Ip Man Wing Chun Penang school 9 years ago, and has since been teaching and training full-time. All these years, his pursuit of Wing Chun training has never diminished; he regularly travels to Hong Kong for about 5 to 6 times per year to train with his Sifu Ip Ching and his senior top disciples in 1-to-1 private lessons, further improving his skill set and knowledge about this form of martial arts. 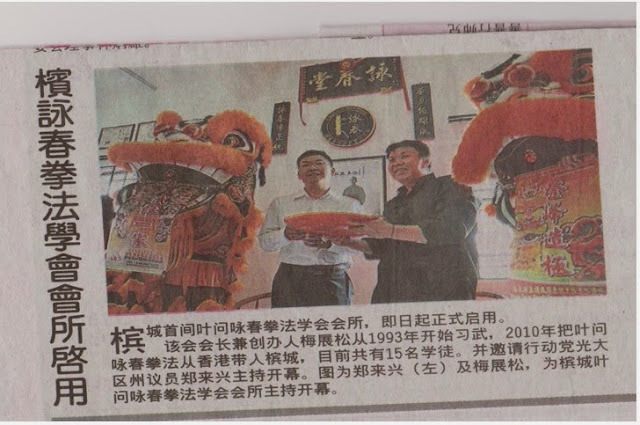 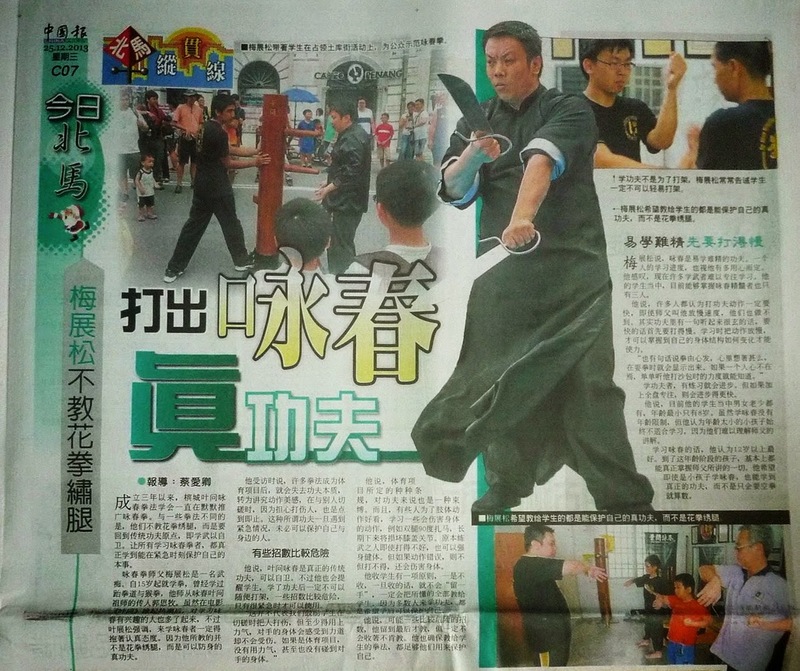 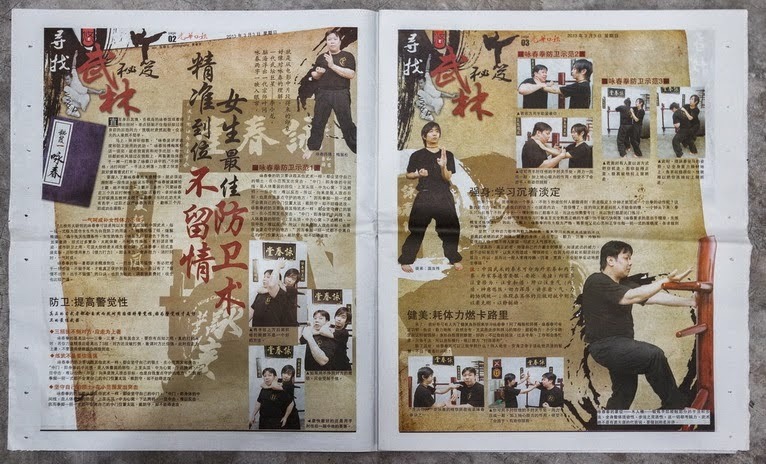 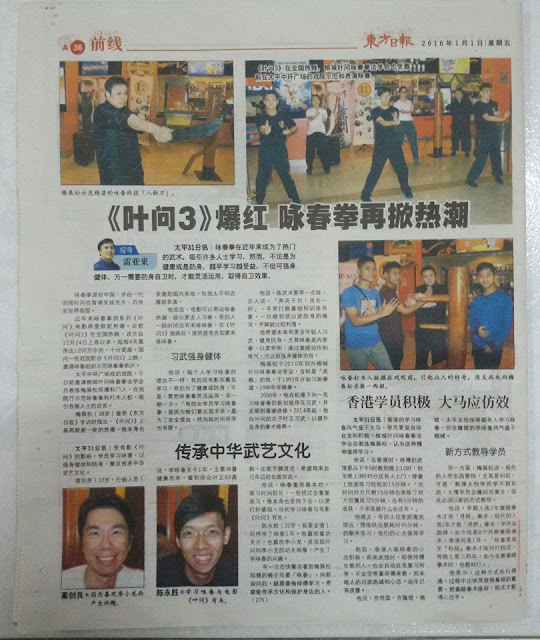 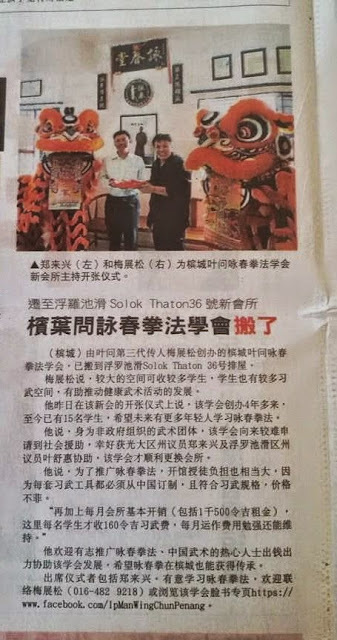 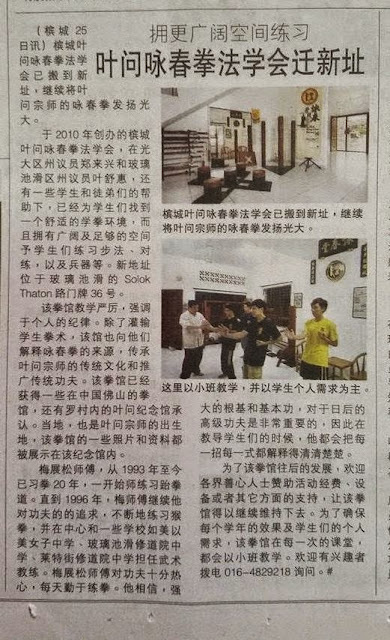 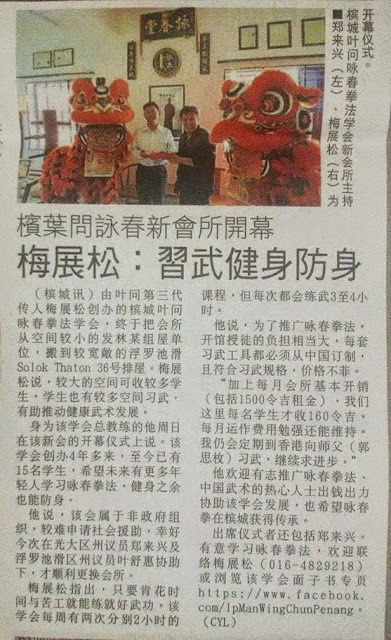 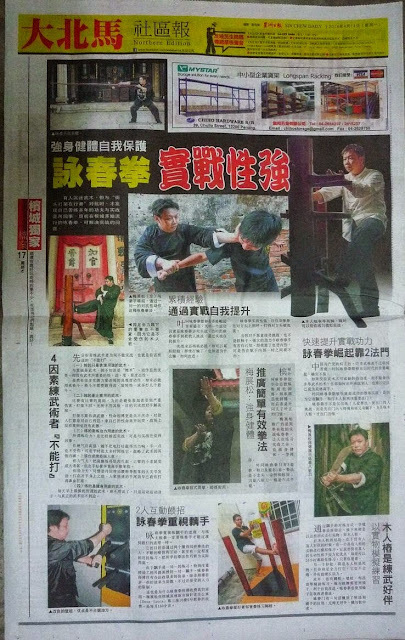 Sifu Aaron Boey and Ip Man Wing Chun Penang has been featured in all main newspapers in Malaysia such as The Star, Oriental Daily News, Kwong Wah Yit Poh Press, The Heat, The Malay Mail, Sin Chew Daily, Guang Ming Daily and China Press. 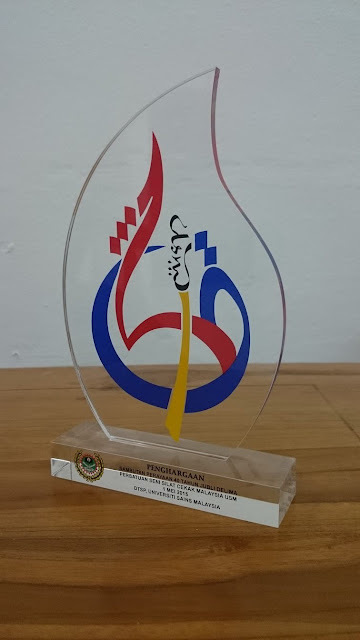 He was also featured in videos such as Tune Talk’s MIMMA #IfightFor campaign, Code Runner Game Show, as well as participated in MYfm recordings.